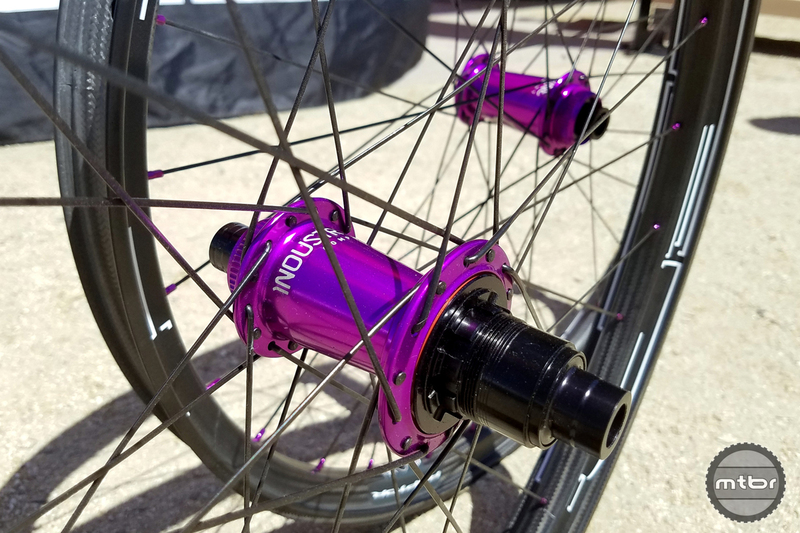 The new HED Raptor wheels with Industry Nine hubs. 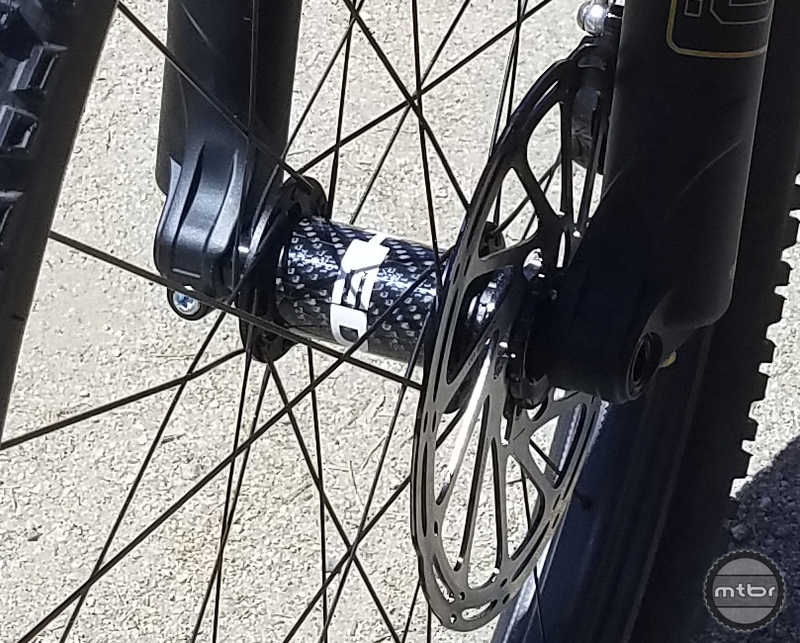 At Sea Otter, Paul Ellis from HED Cycling Products shared some of the new carbon wheel offerings plus a bit of history about the company. It was quite refreshing to hear about a U.S. company that is baking carbon hoops in-house up in Minnesota. Up close look at the Raptor’s hybrid channel rim profile. HED’s freshest offering is the Raptor, a 27.5 rim that’s 45mm external, 41mm internal with hookless bead. Weight is 430 grams. At this point, it’s available as a hoop ($700 each) or with Industry Nine hubs ($2240 a set). They will be available this fall with the HED Brick House hubs. The Raptors are available in 28 or 32 hole. Hub options are 110 boost centerlock front and 148 boost centerlock rear with either Shimano or SRAM drivers. A centerlock to 6-bolt adaptor is available. Tire size suggestion for these wheels is 2.8 and up. The I9 hubs look (and sound) amazing. The second wheel showcased was No Big Deal. If you’re wondering how I could say that, it really is, or simply N.B.D. 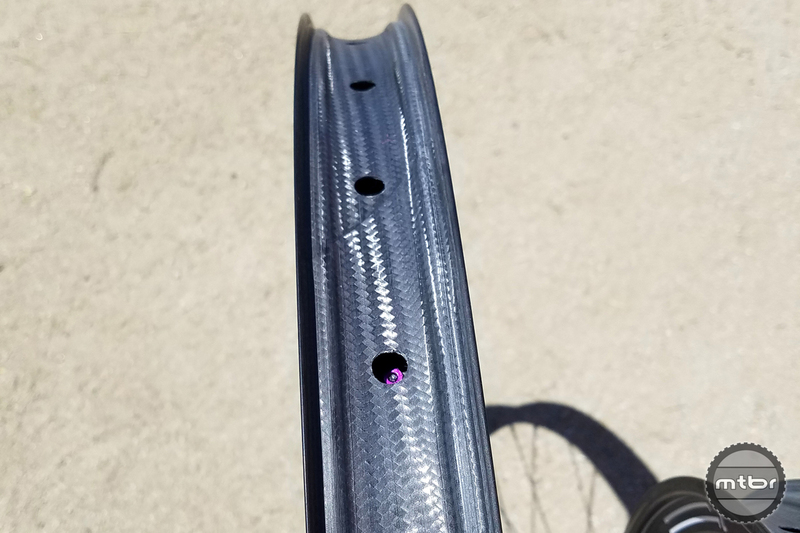 It’s a 65mm wide hoop for 26er fat bike tires (semi-fat in this case), weighing in at 450 grams. 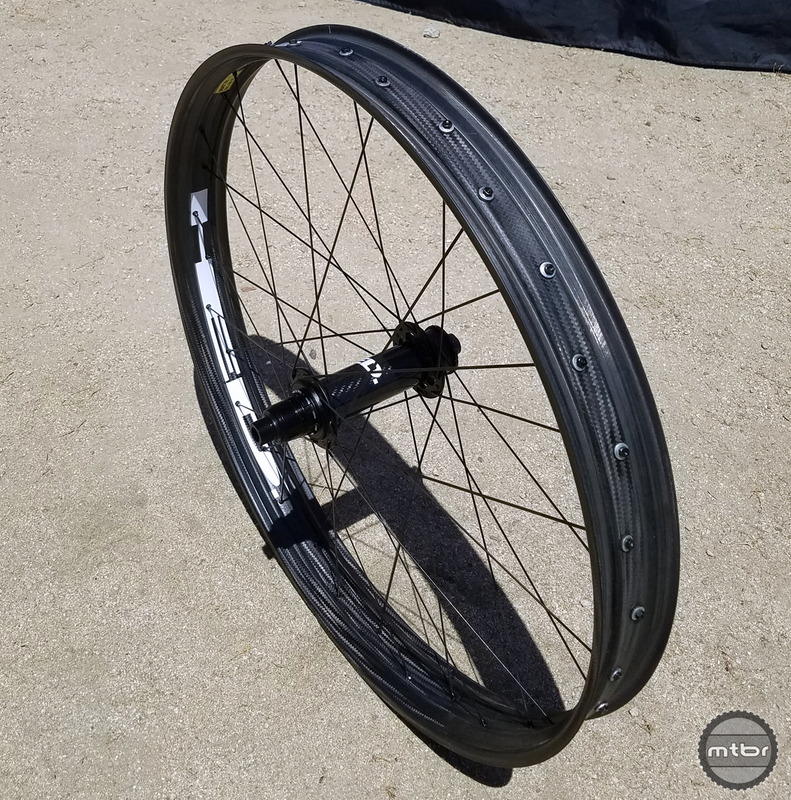 This wheel is laced with their Brick House hub and priced at $2100 and is available in multiple hub standards. Whichever wheel you choose, HED offers a 5 year warranty against manufacturing defects, and a crash replacement discount. For more information visit www.hedcycling.com. 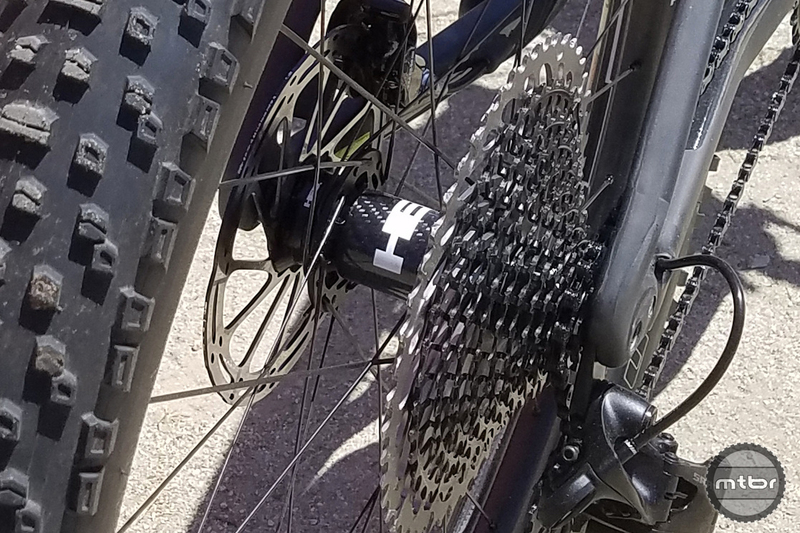 HED Raptor with Industry Nine hubs. Raptor’s hybrid channel rim profile. The I9 hubs looks amazing. 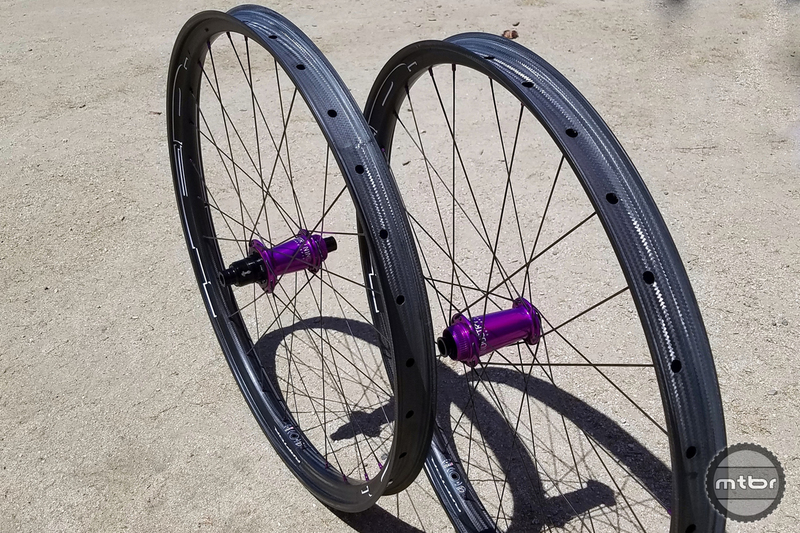 Carbon HED Brick House hubs will be available this fall. Oh wait, these are actually 26″…………NICE.